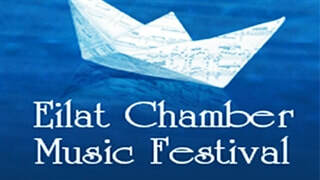 On February 9th, 2018 Ofra Yitzhaki will perform a piano recital at the prestigious Eilat Chamber Music Festival. The Program - "Two Homelands, One Piano" - includes works by five Israeli composers: Paul Ben-Haim, Joseph Tal, Erich Walter Sternberg, Max Brod and Karel Salmon. For an article about the program (in Hebrew, in "Calcalist"), please click here. BACH RECITALS IN FRANKFURT - "THE WELL-TEMPERED CLAVIER"
On December 23rd-26th Yitzhaki will play two Bach recitals in Frankfurt, Germany, including ten Preludes and Fugues from Bach's "Well-Tempered Clavier", Book II. The concerts will take place at the Frankfurt Music Library and at the Concert Hall of the Evangelical Chruch of Praunheim. In addition, Yitzhaki will take part in the "Meet the Artist" project of the Frankfurt Municipality: she will visit a high school, play for the pupils and talk to them about her work. On October 29th, 2017, Ofra Yitzhaki joined the "Hauser Trio" (Hillel Zori, Erez Ofer and Yoram Youngerman) for a performance of Ben-Haim's Piano Quartet at the Concert Series of the Jerusalem Music Center. The concert was dedicated to Ben-Haim's work and moderated by Prof. Michael Wolpe and Prof. Jehoash Hirshberg. On July 16th, 2017, Yitzhaki performed Tal's First Piano Concerto with the Berlin Symphony Orchestra, conducted by Lior Shambadal. The work was composed in 1945, shortly after Tal's immigration from Berlin to Israel, and rarely performed afterwards. Berlin Tageszeitung, 18.7.2017:​ "The supreme soloist Ofra Yitzhaki showed astonishing melodic qualities, without losing the force and harshness required by this musical work". Yitzhaki's new program "Two Homelands, One Piano" for piano and actor was premiered at the Claremont Hall, Tel Aviv University, with actor Dori Engel (May 2017). A premiere of the German version of this program followed in aVilla Elizabeth, Berlin (July 2017) as part of the "New Life" Festival, with actor Peter Pachl. The program presents piano music and texts by five major Israeli composers who immigrated in the 1930s from Germany to Israel. ​YITZHAKI PERFORMS RAVEL'S "GASPARD DE LA NUIT"
Ofra Yitzhaki was invited by the Hessentag Festival, Germany, to create and perform two piano recitals combining piano music and letters. The first recital is devoted to the music letters of Wolgfang Amadeus Mozart and his father, Leopold. The second recital is devoted to Robert and Clara Schumann and Johannes Brahms. Both recitals take place at Hessentag City, Bensheim, with actors Walter and Mathias Renneisen and Annika Martens.